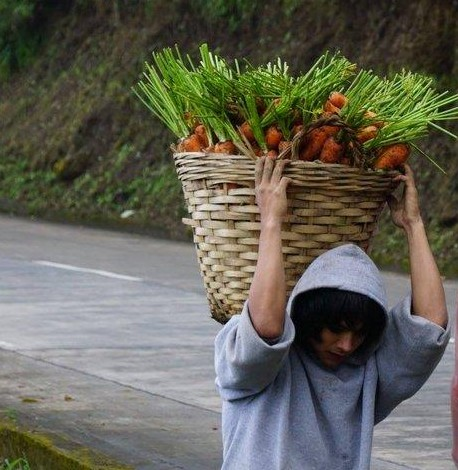 In February 2016, the world of social media went into a frenzy for a very photogenic Igorot farmer captured hard at work, all sweaty and dirty from his tasks carrying a basket full of carrots in Bauko, Mt Province. 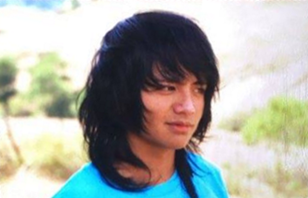 His name is Jeyrick Sigmaton (AKA Carrot man), and his photos were posted by a Filipino tourist Edwina “Bing” Bandong. It was a case of “ the face that launched a thousand clicks” as his photo was shared worldwide. Many hearts quivered and jaws dropped as they gawped at his beautiful be dimpled smile. Many named him as doppelganger to several Korean and Filipino actors. And he even had the Koreans talk and gush at his photos. In this modern world of cosmetics and surgery, and today’s sometimes impossible standard of beauty, many found Jeyrick’s good looks refreshing- a mix of being natural and rugged, and specially so that he seemed unperturbed by it all. In fact, he remained unaware of his sudden rise to fame until someone showed him evidence of ‘it’. At the height of his social media fame, the Kapuso network GMA quickly found him and showcased him in some of their programs. The face that launched a thousand clicks…… will it lead to a launch of a stellar career? This remains to be seen. We saw him embrace these TV guestings and he might have appeared somehow awkward and shy, but never pretentious nor OA, he remained himself, simple, unpretentious, unchanged. He didn’t try to conform to the showbiz norm- well groomed, well dressed, well made up. Perhaps, his most recognizable qualities are not his looks, that his virtues are beyond prettiness. It wasn’t just his face that launched a thousand clicks. It is what he represents that makes him so endearing, not just to Igorots but to all who have dreams, those who’ve felt oppression or discrimination. His story is relevant, and gave a glimpsed of the life of the deprived who could make better in life if the right doors were opened. He is a symbol of hope, a voice of the somehow unheard-the tens of millions of young Filipinos who work hard and willingly sacrificed their youth and personal dreams to help their families subsist. With his new found fame, the door of opportunity was opened for this young man. And he appears to have embraced them without an ounce of conceit or arrogance. Apart from TV guestings, social media fan pages dedicated to him mushroomed around the world, different invites came flooding, but the offer to finish his education remains to be the more sensible and hopeful offer so far. His face and personality opened doors, but it is making the right choices, his character and what he will do with those opportunities that can keep them open. Another aspect of Jeyrick’s persona that people found surprising is that he is a full blooded Igorot. This fact divided opinions, there are those who are accepting of this and there are those who find this hard to believe. Igorots have long suffered discrimination because of their indigenous roots. Many non Igorot Filipinos still think that Igorots are ugly, barbaric, dark skinned, short with curly hair, have tails and are uncivilised. Many mistake the Igorots to be Aetas . Not, that there’s anything wrong or ugly with the aetas, normally found in Pampanga and Zambales area. The Aetas too are indigenous, have preserved their culture and have a beauty all their own. A grade four Filipino textbook mistakenly describes the Aetas as indigenous to the Mountain Province- no wonder Filipinos are very misinformed about their indigenous peoples when even the experts cannot give an accurate description. (Read: Deped Textbook Claiming Aetas are Natives of Mt. Province) Without meaning to, Jeyrick caused embarrassment to a respected UP Professor who stated that “intermarriages with Caucasian missionaries improved the looks of these race” referring to Jeyrick’s good looks and tall nose. No such thing happened in Igorotlandia. This also showed that Ms Soho and her team, who went far and wide to search for Jeyrick have the same misconception as the esteemed professor. Ms Soho and her team has since apologised for the gaffe. The fact remains that in the Mountain Province and the rest of ‘Igorotlandia’, Jeyrick’s good looks and tall aquiline nose doesn’t look out of place at all and some Igorot provinces even have aquiline noses as the norm (i.e. Kalinga). The fact that the Igorots don’t look any different from most Filipinos also remains. Another fact is that Igorots are now all over the world, but are still fighting for the recognition of who they truly are. And almost singlehandedly, Jeyrick has somehow achieved what hundreds of Igorot Organisations around the world aim for- to promote the Igorot culture , to use the word Igorot with the correct meaning attached to it and put the Igorots on the map, to correct myths and misconception about igorots. Not that the world has never known Igorot Achievers before. Take a look at some beauty queens with Igorot roots, the lawyer Ruth Andam, Anna Loraine Kier, Glennifer Perido the current BB Pilipinas hopeful , Kimberly Mae Penchon, she can also trace her roots to the same town as carrot man. Paulo Avelino, the prince of Philippine Teleserye and the actress Jed Montero are from Sagada, Mt. Province, the current United Nations Special Rapporteur on the rights of indigenous peoples Victoria Tauli Corpuz is from Besao Mt Province, many of our SAF 44 heroes are Igorots, we’ve produce Beauty queens and Mr Philippines and are highly regarded in wushu, track and field, kickboxing and body building fields, producing many winners who’ve won medals for our country. The multi awarded businesswoman and fashion designer Narda Capuyan was from Sagada. The list could go on if the argument is where to find Igorots in mainstream society. The question of how and where this incorrect impression of the Igorots can be traced back to the Spanish Occupation of the Philippines where the Igorots paid a hefty price for their independence. The Igorot’s 350 year resistance to the Spanish regime is documented in many letters, notes, conversations and books exchanged between the Spanish conquerors during their time. In fact, many foreign visitors and higher Spanish officials noted the spaniard’s inability to conquer the Igorots. The Igorots resistance have become an embarrassment for the Spanish, because with all their modern gadgetry and military tactics, the illiterate Igorots, armed with only their old rusty spears, wooden armoury proved too strong, too difficult, too strategic. The Spaniards also wanted the mountain gold and the tobacco in Benguet, and they made it difficult for Igorots to trade in the lowlands, they even sent their best generals to make settlements in Igorot towns, and burned Igorot villages and artefacts. But the Igorots resilience was very much alive as they devised ways of trading undetected, and if detected, they still proved too strong. For the Igorots, burnt villages meant finding ways of protecting their lands better, building new villages. 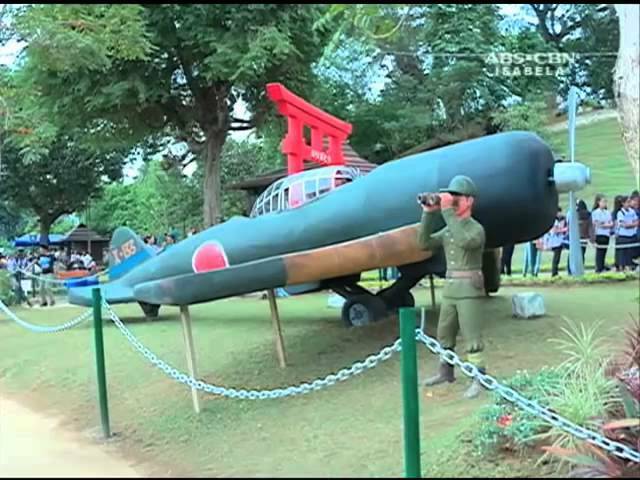 Never for once did it mean succumbing to foreign rule. For the Igorots, their land, their culture, their people are too precious to let go. The price the Igorots have to pay for their independence is that their bravery , strength, their commendable strategies to resist foreign rule are never documented in Philippine history books. Also, the Spaniards regarded them as outlaws, barbaric, uncivilised, hopeless and uncontrollable. And these view from the Spanish colonisers seemed to have stuck with the Igorots even these days. During the Spanish occupation, the Spaniards referred to Fillipinos as indios, a racist derogatory term. It was used to insult our forefathers, the Spanish believed that the natives they found in these lands are second class citizens and they used that term because we as Filipinos have generally darker skin than people with European ancestry, they called us indio to say that we are dirty, uneducated, poor, dark skinned and undesirable. Although we also recognize that Spain made very important contributions to the Philippines, a Filipino professor once stated that a lot of the social problems in the Philippines today are as a direct result of Spanish colonization- the maniana habit, finding escape from the rigours of the daily grind thru our addiction to showbiz, we elect our showbiz (heroes) personalities to key political positions (a lot of them do great as politicians) and hope they can liberate us like they do in the movies, etc. It is then possibly true that the offensive view of the Igorots came from the Spanish occupation too. A blogger who calls himself ‘A True Proud Filipino’ belittled the Igorot people when commenting about an Igorot book called IGOROTAK: A Warrior Within, his comment said “if this book is attempting to portray igorots as equals to real filipinos I think this is a stupid thing. You pride yourselves as not being conquered by Spain, but I pride myself as being conquered by Spain because without them my ancestors would have stayed uneducated and uncivilized and there would be a nation of people still running around in loin clothes today. But thanks to Spain, we are now educated, smart, civilized and even better looking today”. Perhaps, his sentiments are shared by many Filipinos who believe that because of the Spanish Occupation, Filipinos are now Christians, civilised, more intelligent, ‘mestiso’ and that the Filipino race has improved. Comparatively, the Igorots who resisted the Spanish have always been civilised and well mannered, they have embraced Christianity and modernism and didn’t need any Caucasian genes to improve their race- there is natural Filipino beauty that can be found in the Igorot people- just like in the rest of the Philippines. And look, the Igorots do not know all there is to know about other Filipinos and their culture , but they do not look down on other Filipinos too. Consequently, if we as Filipinos take pride in our education and intelligence, then why the ignorance about the Igorots, why look down on others? Even the famed Carlos P. Romulo, an intelligent, highly respected man flaunted his ignorance by saying that Igorots are not Filipinos. Later on, Romulo tried to save face when he eventually explained that Filipinos originally meant indios who agreed or were forced to become subjects of the King of Spain, without necessarily becoming Spanish Citizens, so technically, the Igorots were not Filipinos because they never became subjects of the King of Spain. Contrary to belief, the Igorots are not uncivilised. Over 1500 years before Ferdinand Magellan set foot in our shores, the igorots already have their rice terraces, carved by the hands of Igorot fathers , fed by an ancient irrigation system from the rainforests and are still being farmed pretty much the same way as hundreds of years back. Proof that civilized and intelligent people exist even before the Spanish conquest. The Igorots might have been slower to embrace technology and modernism as a result of their independence but today, the Igorot is modernised, and can be found all over the world as professionals- Doctors, lawyers, nurses, in the armed forces, Pilots, Engineers, Architects, Computer experts, in the publishing and entertainment world, even nannies and housekeepers, they are every where- just like the modern Filipino. Samuel E. Kane wrote about his life amongst the Bontoc, Ifugao, and Kalinga after the Philippine–American War, in his book Thirty Years with the Philippine Head-Hunters (1933). Kane wrote of the Igorot people, “there is a peace, a rhythm and an elemental strength in the life…which all the comforts and refinements of civilization can not replace…fifty years hence…there will be little left to remind the young Igorots of the days when the drums and ganzas of the head-hunting canyaos resounded throughout the land”. Today, wherever the Igorots are in the world, they gather together, form Igorot organisations and have a strong common bond. They have the best of both worlds- the modern world and the one that still allows them to practice their forefathers ancient ethnic culture. The beating of the gongs, the dances, the clothing, the canao and other aspects of the Igorot culture still come to life from the Cordilleras to the rest of the world. For the Igorots, these incorrect impressions about them is the price they have to pay for their independence. And they recognise Jeyrick Sigmaton’s importance and relevance to their culture. And like Jeyrick, the Igorots continue to stand proud of their true identity, of their achievements, of what their ancestors did, a successful struggle for independence that our Filipino heroes, can only dream of. 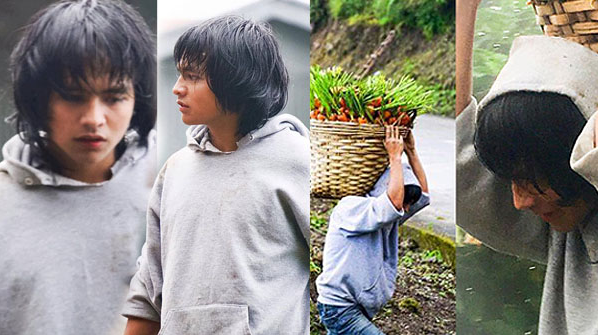 For the Igorots, the Carrotman is the new symbol of hope- that could eventually end the Igorot’s different kind of struggle. For The brave warriors of the Igorot lands still strive to be recognised and accepted for what and who they truly are.